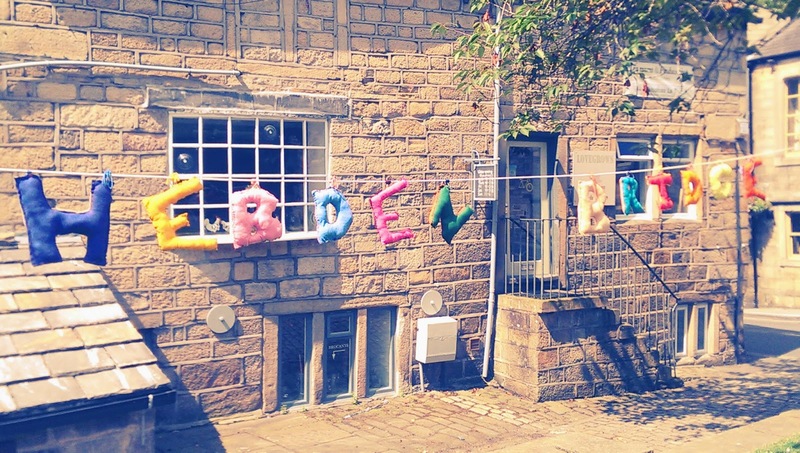 Hebden Bridge is well known for its creative culture and artistic community, and this creative energy was certainly evident when I wandered in this morning to take some photos for the post I plan to do next week featuring the Tour De France (don't worry - the sports content in the post will be minimal). 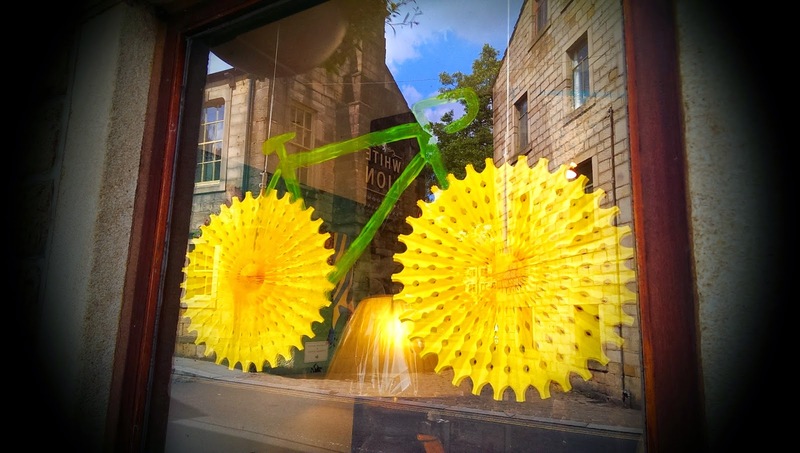 The town has really embraced the occasion, which will be whizzing by on Saturday 6th July (www.letour.com), and is now almost completely yellow and bike-themed. 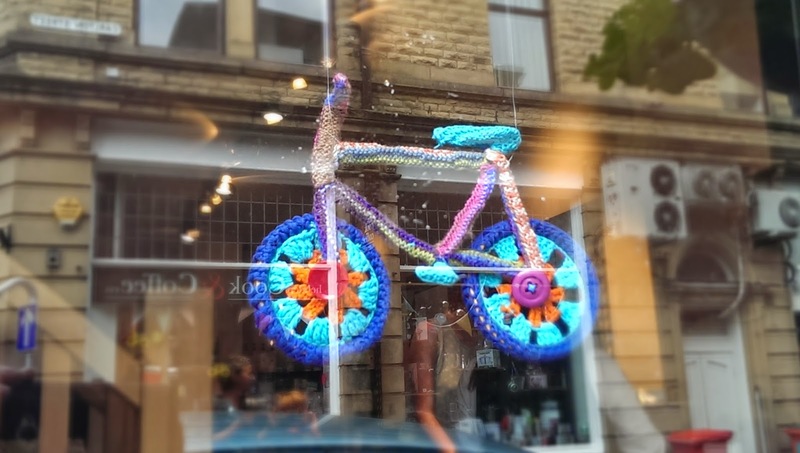 There were so many fantastic displays honouring the race that I thought I'd do a bonus photo post in the run up to the main event. 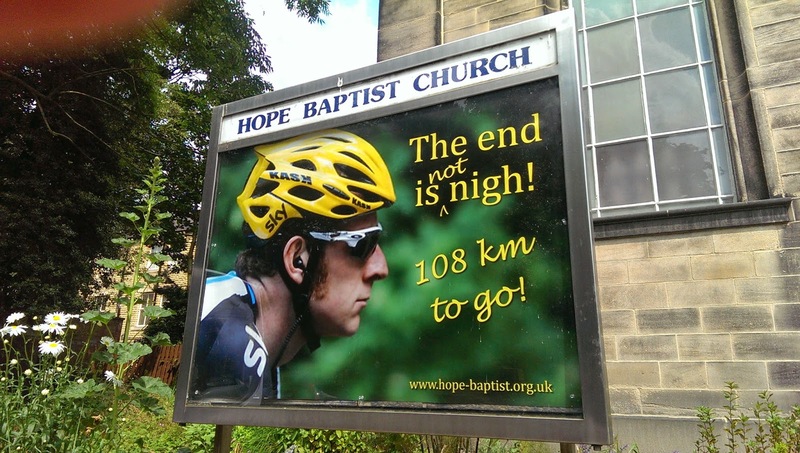 Even one of the local churches is getting in on the action with this hilarious poster! 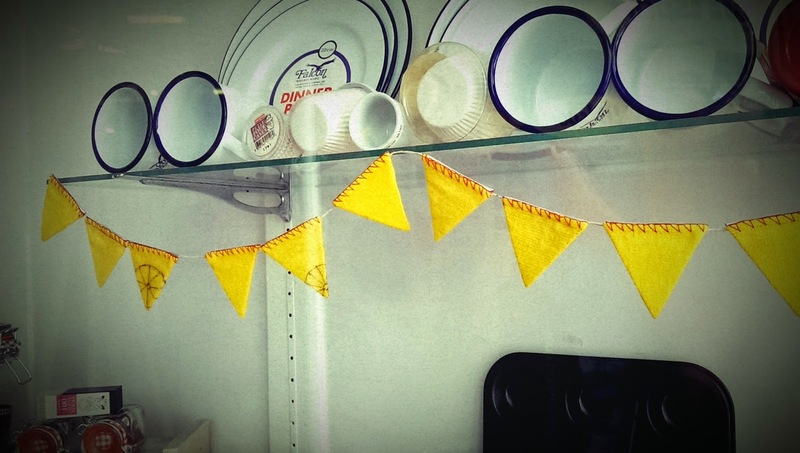 Adorable mini yellow duster bunting at Valet Stores - LOVE this!!! 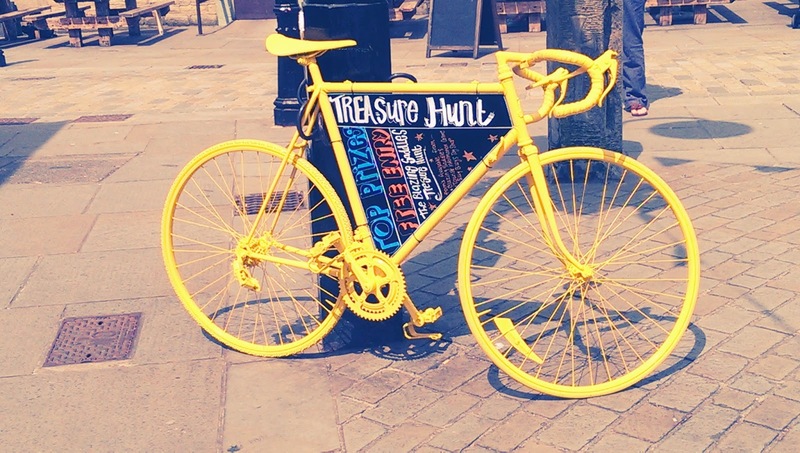 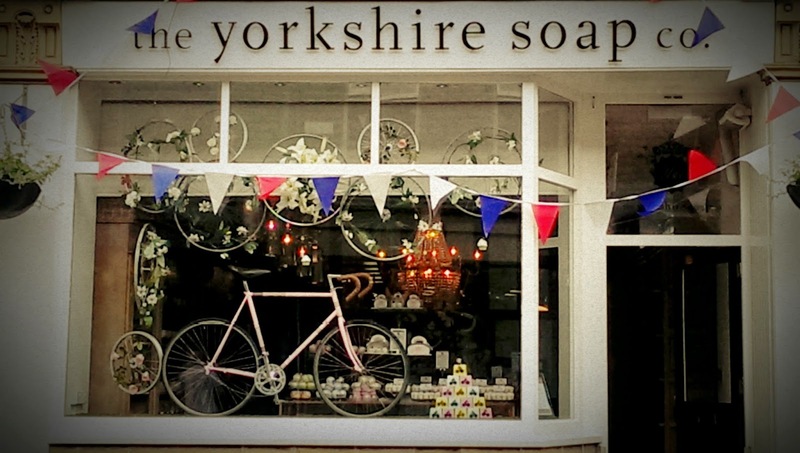 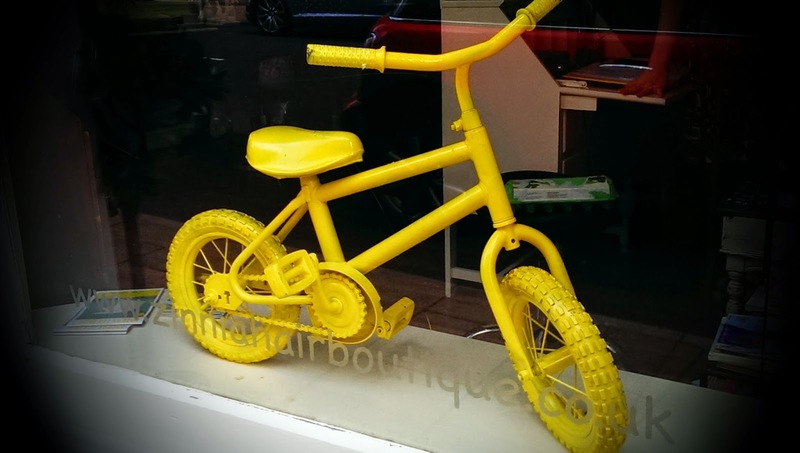 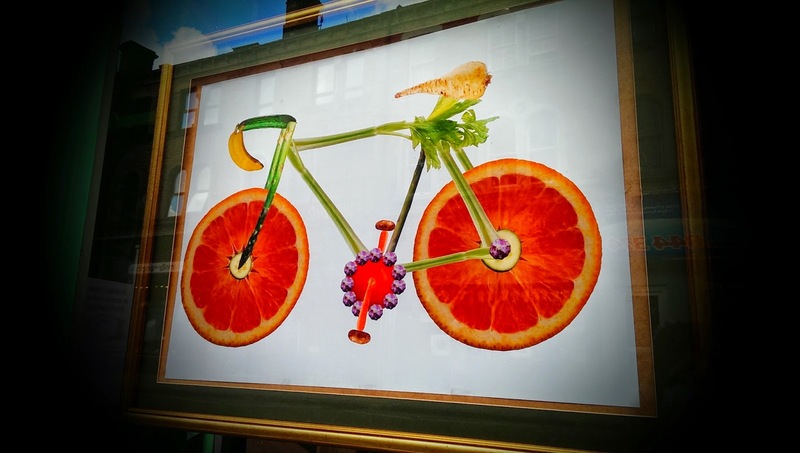 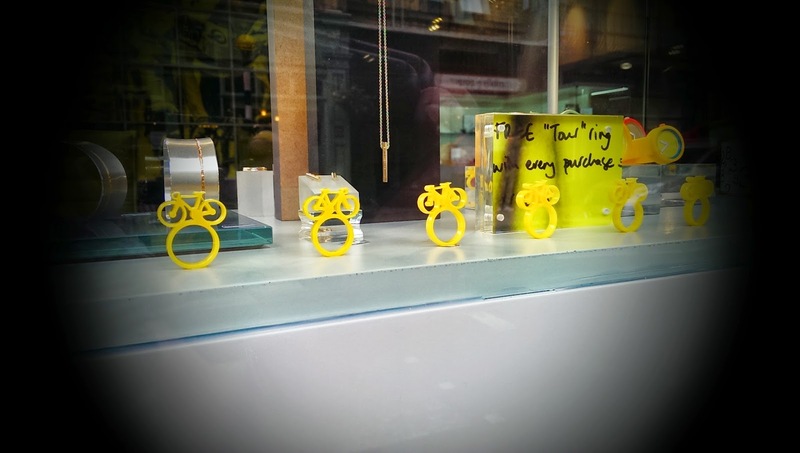 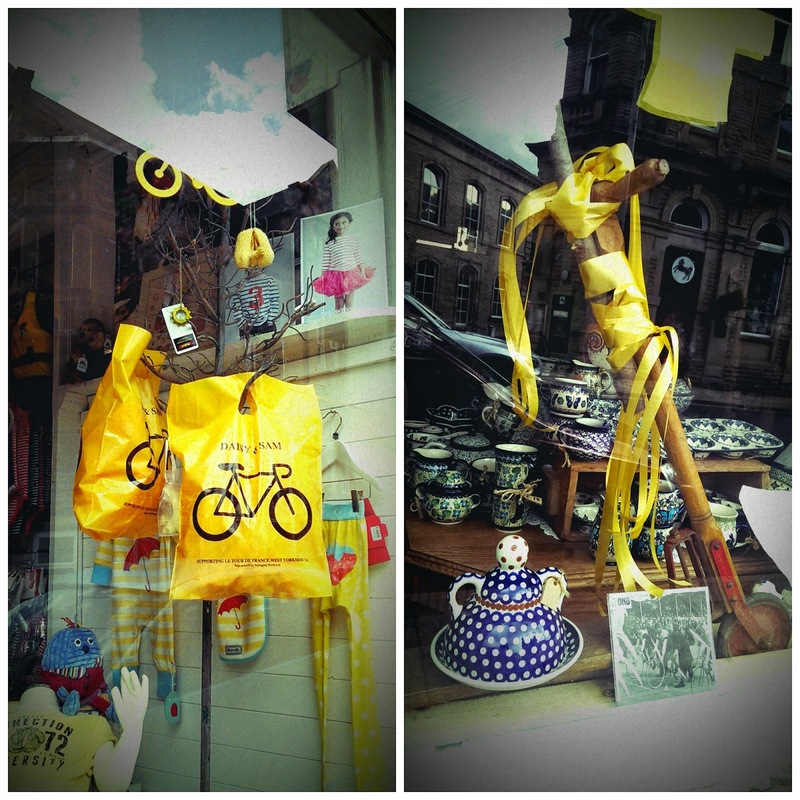 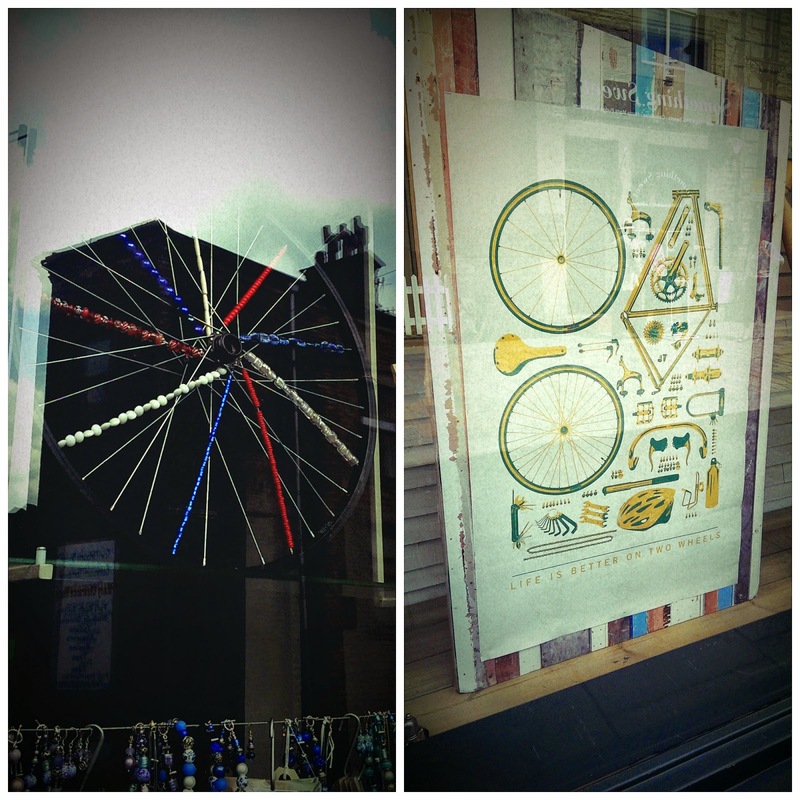 Beauty By Grace finds yet more imaginative ways to celebrate Le Tour and Harold Crabtree is as stylish as always! 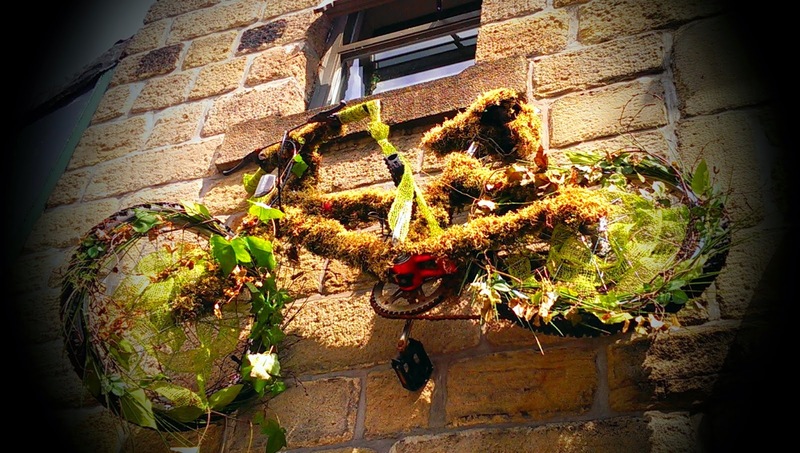 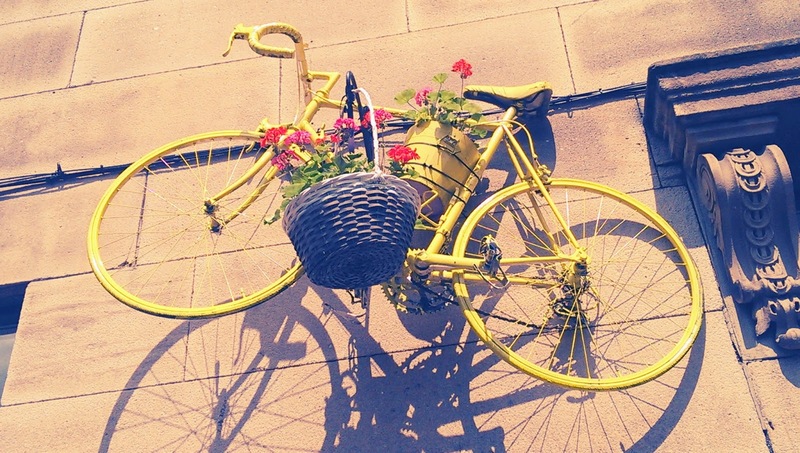 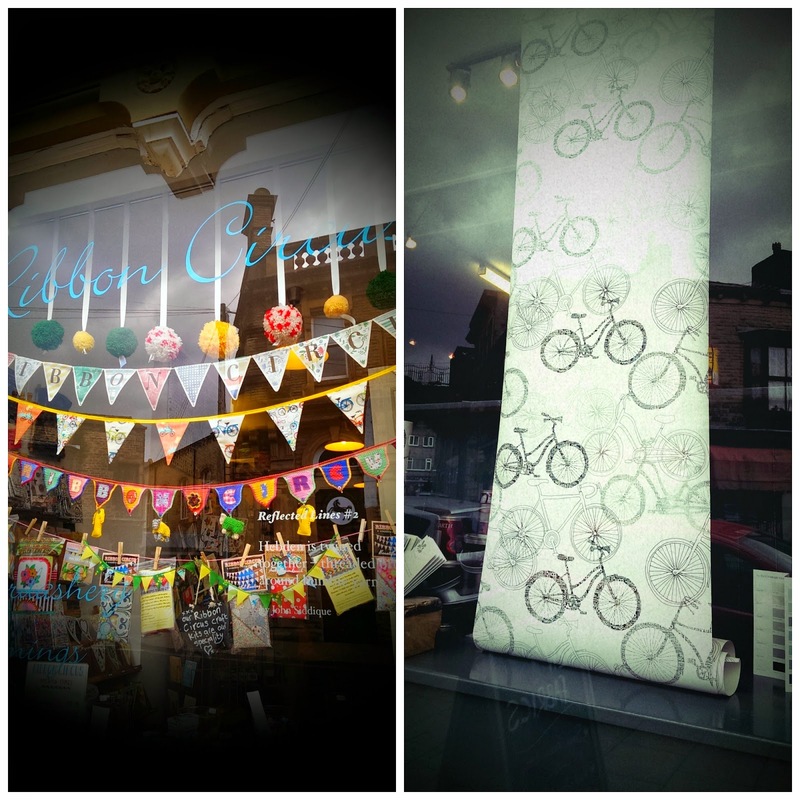 The Vine has mounted a full sized bike and added hanging baskets. 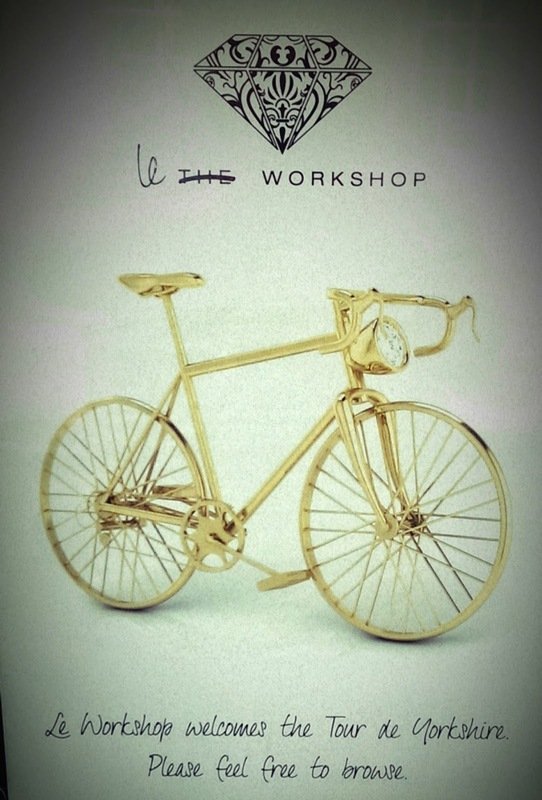 I've saved my favourite until last - a gold bike with a diamond headlight. 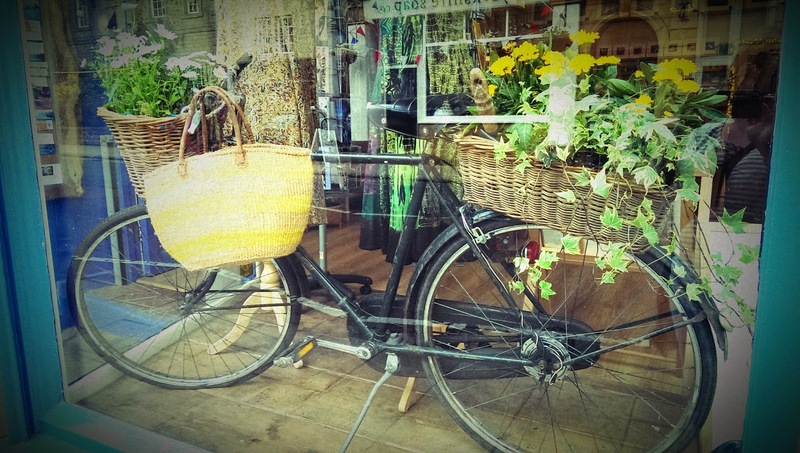 What's not to love??? 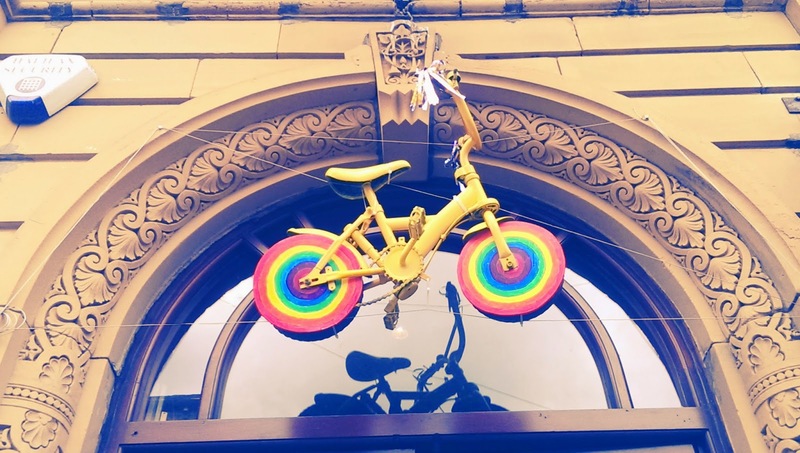 I haven't been into Leeds for a couple of weeks, but I can imagine that the bicycle theme has overtaken most of Yorkshire! 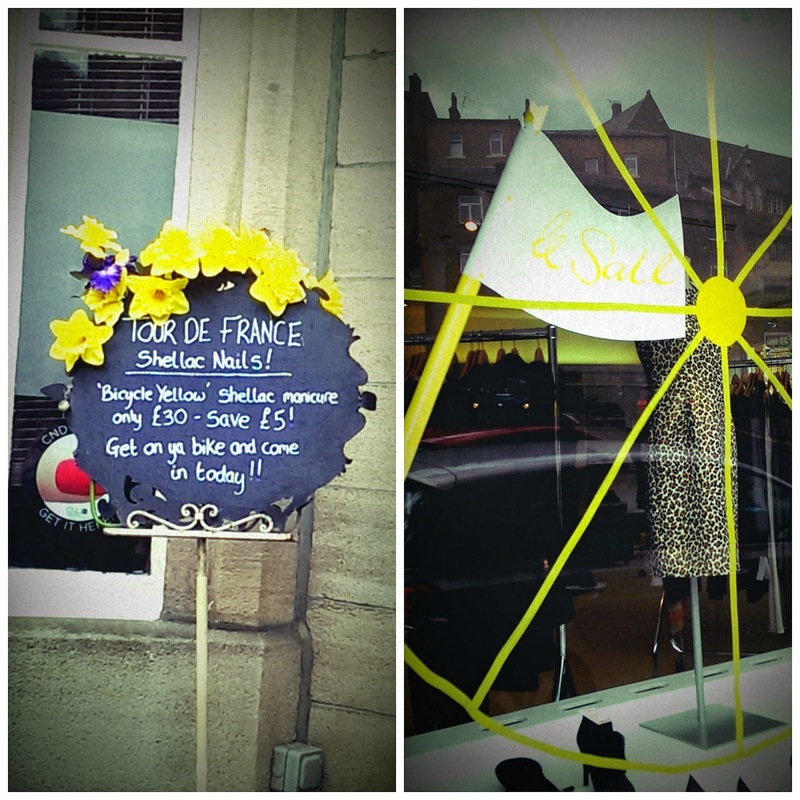 I'm just amazed at how Le Tour has captured everyone's imagination.